The Curious Mummy meets the legendary Lorna Hayward; author of The Mumblings, Queen of Pizzup, 2017 Winner of The Top London Mummy Blogger Award, Freelance Boss Lady, wife to Jamie and Mum to Elsie and Marnie. Lorna’s quick witted humour and kind & honest heart captured my attention on Instagram at the beginning of 2017 and a few months later we met at her first Pizz Up event. Lorna is a true inspiration and what she has achieved over the past year has proven that us Mummy’s are unstoppable. So without further ado…presenting Lorna. Hello Lorna, it is so nice to have you as a guest on The Curious Mummy. Please tell us a bit about yourself? I live in South West London with my husband Jamie, and our two daughters – Elsie (4) and Marnie (2) I am seven months into my new venture as a freelance content creator, and so far – so bloody good! Tell us about PIZZUP and what gave you the idea to start? I had started out on my blog voyage, and been in touch with some local mums around the area via Instagram and Facebook who had been enjoying my posts. We’d mentioned meeting up, initially with the kids and then thought better of it and I suggested wine! I decided that rather than always meeting up separately, why didn’t I just gather us all up (and my friends locally) and have a night out. Despite having a lovely scattering of mates in my life, I’ve always been fairly needy – craving to be part of something, and my failed attempts at NCT and mum groups only seemed to exasperate the fact I often felt left out. So, I thought I would just find a venue we could take over, give it a name which sold it as what it is (without blatantly calling it a pissup) and hopefully sell some tickets. It literally snowballed from there. What has been the best part about PIZZUP? Seeing the women come together. Some arrive on their own, some in groups, but they all mingle. I feel immensely proud watching some ladies that have really pushed their comfort zones in coming along, have an amazing night. That’s honestly why I do it. PIZZUP has been running since March 2017, what has been the greatest lesson you have learned? That sometimes, just sometimes I can’t do it all. It’s ok to ask for help with packing 85 post PIZZUP party bags. PIZZUP has been going from strength to strength. What do you think is the key to success? Staying true to what you believe in. That sounds like crappy Instagram slogan but for me, it’s really true. I’ve had many moments, and potential opportunities to change elements of PIZZUP – mix the concept up a bit, but it’s never sat well with me. I know what PIZZUP is, I know what it isn’t and I truly believe that’s why it has had the success so far. 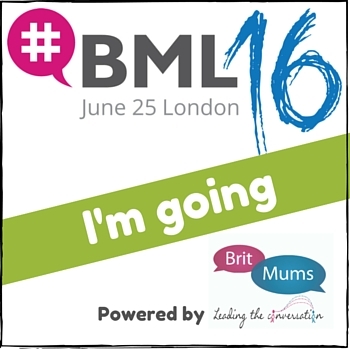 Not only do you run these fabulous events for Mums, you are also a freelancer. As the ultimate Mummy Juggler, how do you find a balance between your career, managing PIZZUP and raising a family? I really don’t think I’ve found the balance. Yet. The more I chat to women – whether they are not working, working full time, working two days – I haven’t heard anyone say they have the perfect balance and are happy with the juggle. For me, some days it works, some days it doesn’t. Some days, I feel incredibly lucky to be working from home, and some days I wish I could run on back to Soho. What I do think I have found, is control – and that for me is priceless. Congratulations on winning ‘London’s Top Mummy Blogger 2017’. What an amazing achievement and thoroughly well deserved. Please tell us all about it? I had seen the award, and in the midst of my new found blog decided to enter myself in for nomination. I really was not expecting to win and I am still blown away at what a year it’s been for me. We were on holiday when I got an email from Monique who runs the awards entitled “Can you keep a secret…” and I cried. It felt like a huge achievement after leaving my job, and starting my freelance journey. It’s not often I feel proud of myself, but in that moment I did. Wine, sofa, wine, sofa, pub, wine, friends, sofa, husband, wine, sofa, bar, wine, good women. In no particular order. I would love to say a long soak in the bath, but I’m such a fidget – not the best at relaxing so I get bored after about five minutes. I prefer to unwind in good company, or on the sofa (with a vino) in front of Keeping up with the Kardashians. Simple pleasures.